When he set out in the spring of 2015, Jurek anticipated punishing terrain, forbidding weather, and inevitable injuries. He would have to run nearly 50 miles a day, every day, for almost seven weeks. He knew he would be pushing himself to the limit, that comfort and rest would be in short supply — but he couldn't have imagined the physical and emotional toll the trip would exact, nor the rewards it would offer. 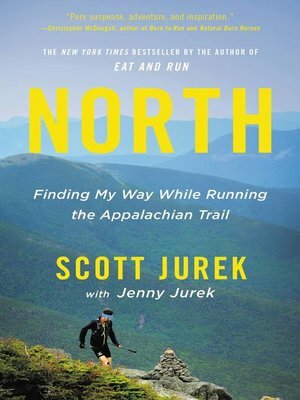 With his wife, Jenny, friends, and the kindness of strangers supporting him, Jurek ran, hiked, and stumbled his way north, one white mile at a time. A stunning narrative of perseverance and personal transformation, North is a portrait of a man stripped bare on the most demanding and transcendent effort of his life. It will inspire runners and non-runners alike to keep striving for their personal best.